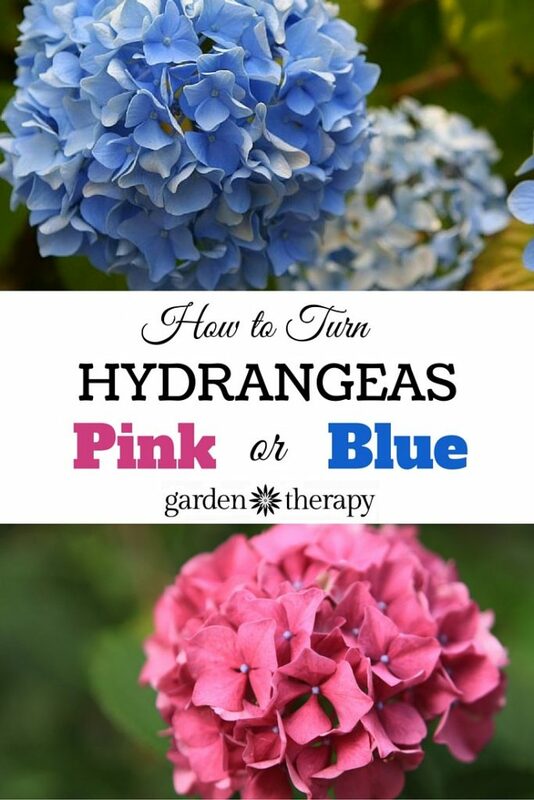 Love your hydrangea blooms but want to change up their color? Many hydrangeas will go through a slight color change when transplanted due to adjusting to their new soil when you first bring them home. But if you really want to shake things up, this simple little soil hack will make your hydrangea change color! Keep in mind that this will only work for the blue or pink varieties (white blooms cannot be changed to any other color). And before you get too excited, you cannot change the intensity of the color; that is more dependent on the environment or weather. Although I must say that changing hydrangea bloom color so drastically is pretty darn exciting! The first thing you need to do is test the pH of your soil. Acidic soil (lower pH) will yield blue flowers and alkaline (higher pH) will give you pink flowers. You can buy a soil test kit at your local garden center to determine the pH of the soil, but here is a quick and simple way to figure out your soil’s pH with ingredients from the kitchen. 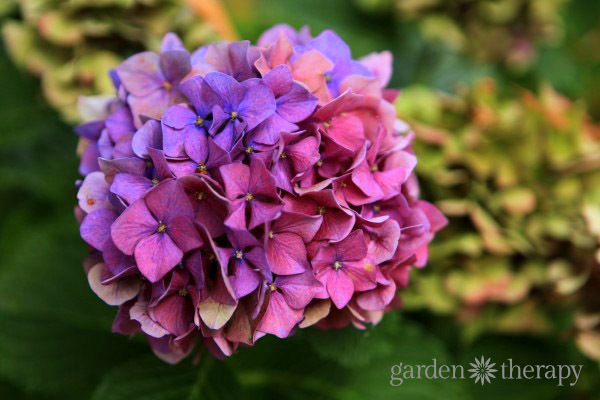 Once you know the general pH of your soil, you can adjust it to get pink or blue hydrangea blooms. If your hydrangeas are pink (because your soil is alkaline) and you want them to be blue, you need to make the soil acidic by increasing the presence of aluminum. 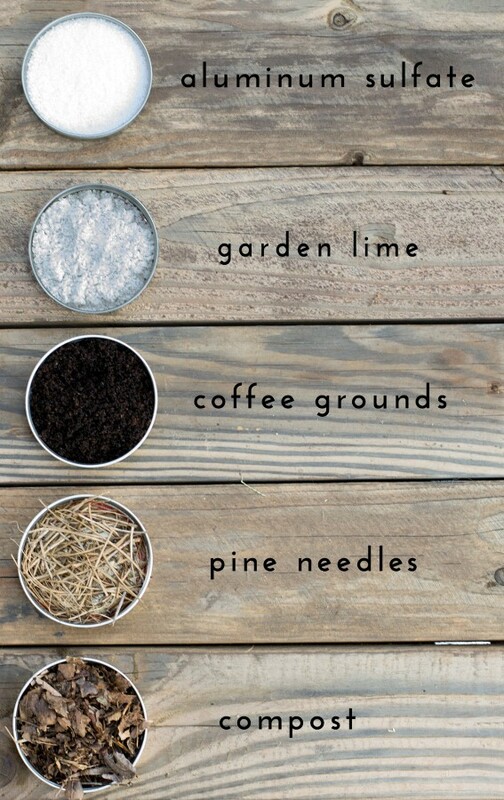 You can achieve this by adding amendments to you your soil like pine needles, compost, coffee grounds, and aluminum sulfate that help make the soil acidic over time. Keep in mind that changing the pH of your soil is a gradual process and will not result in deep blue blooms overnight. It can take up to a year for the color change to happen. If your soil is naturally alkaline, you’ll have to add an aluminum source throughout the growing season to keep them blue. 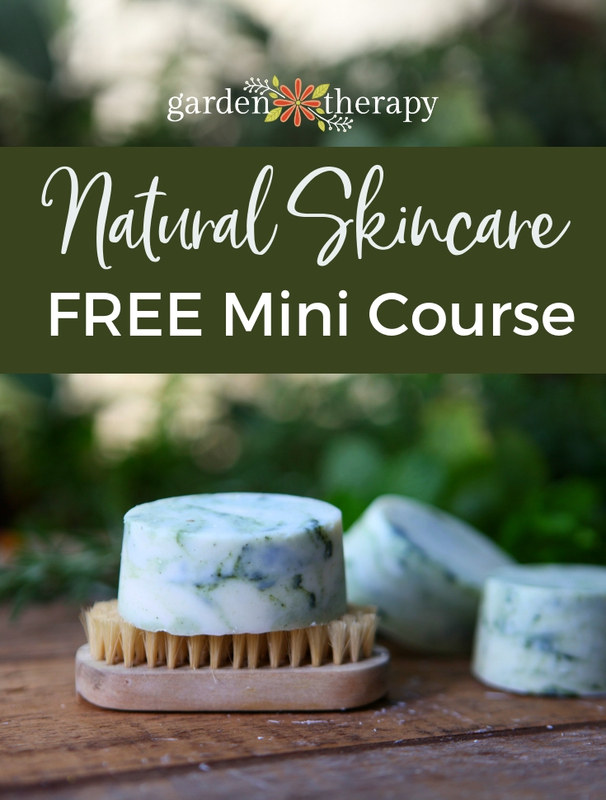 If you are using aluminum sulfate, you will need to add 4 tablespoons of aluminum sulfate to a gallon of water, and drench around the base of the plant every 2 to 4 weeks. To change hydrangea flowers from blue to pink, you need to remove the aluminum from the soil. The only way to do this is to add garden lime to soil to help raise the pH. 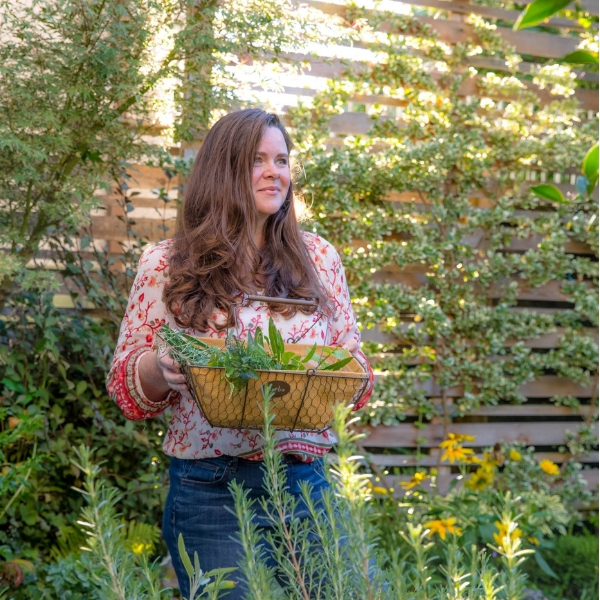 Sprinkle 3 to 4 cups of garden lime around the base of the plant. Again, you will have to add the lime every 3 to 4 weeks throughout the growing season to keep the blooms pink. 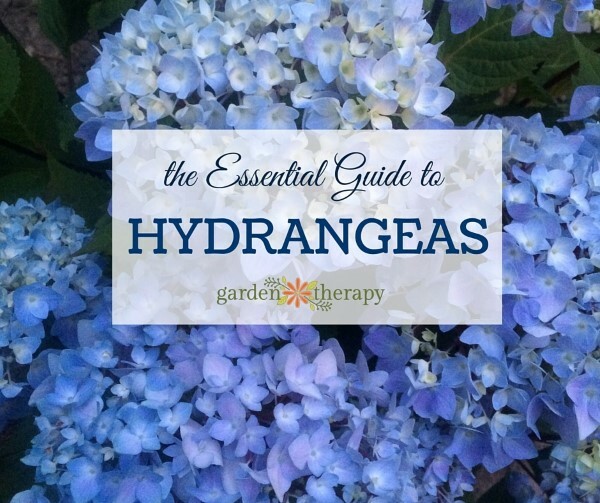 Now that you know how to change the color of hydrangeas, head over to read about how to care for them in this Essential Guide to Hydrangeas. 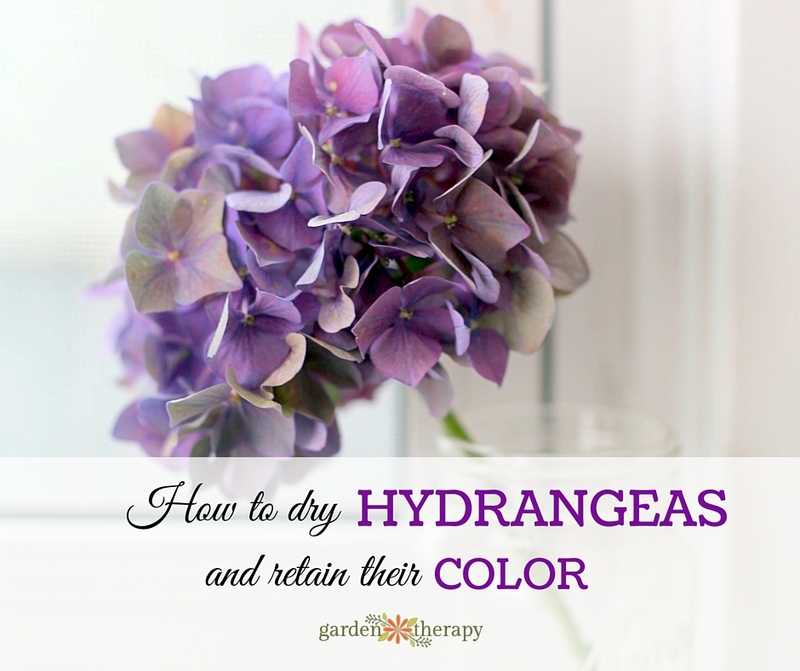 And preserve the color once you have it with How to Dry Hydrangeas and Retain Color! « Come on, Get Crafty: Host an Adult Coloring Party! Hi I bought 3 hydrangeas 2 of them were blue and one was pink..I planted them on a shady half sunny soil..after 1 week the flowers turned green,beautiful but how can I turn them back in the blue and pink? for the pink buy lime from Homedepot or Lowe’s and add about 3 cups around the root water well may take till next groing season for you to get the colors back. Thank you so much for this tip. I will do the procedure. My hydrangeas both plants for two years have been green, now most of the plants (blooms) are are he ground. Should I cut them back for winter) I bought them both pink, but I have never seen them pink just green? Help?